The Ideal Alternative to Wood and Ceramics? Vinyl flooring is often the preferred choice for family areas such as kitchens and bathrooms as it does not harbour dirt or bacteria. It offers an alternative to more expensive floors such as ceramics, woods and stones. 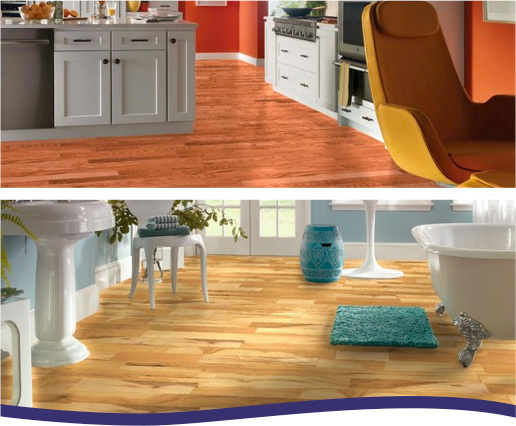 We can also provide what is described as a ‘luxury vinyl tile’, such as Amtico and Karndean. Both products are more durable and offer a more realistic appearance. The durability of these products means they are very popular in areas that receive a lot of wear, such as hallways, kitchens & lounges.